Actors Theatre of Louisville's Artistic Director Les Waters and Managing Director Jennifer Bielstein announce the lineup for the 39th Humana Festival of New American Plays. A highlight of the cultural calendar for theatergoers, playwrights and industry professionals across the country, the Humana Festival runs March 4 through April 12, 2015. In addition, a bill of three ten-minute plays will also premiere as part of the scheduled lineup. Ten-minute plays and playwrights will be announced in January. For more information on individual plays, see below. Actors Theatre has the incredible privilege—and unique challenge—of bringing together the combined talents of playwrights, actors, directors, designers and technicians to shape a festival that currently boasts 98 performances within a five-week period. The Humana Festival has a proud legacy of launching a dynamic catalogue of works into the American theatre repertoire each year. In its almost 40-year history, Actors Theatre has premiered nearly 450 plays during the Festival, showcasing the work of more than 370 playwrights. “With the generous support of the Humana Foundation, Actors Theatre is proud to bolster the economic and social prosperity of our city through its commitment to the creation of groundbreaking theatre,” said Jennifer Bielstein, Actors Theatre’s managing director. “We continue to draw local, national and international attention and attract arts professionals and theatre enthusiasts from across the country. While they come for the main theatrical attraction, the Humana Festival, they are simultaneously introduced to the city’s unmatched hospitality and thriving culinary scene. In 2014, we welcomed nearly 36,000 attendees representing 43 states and 4 countries." The plays will premiere in rotating repertory in three theatres located in Actors Theatre’s downtown Louisville complex—the 633-seat Pamela Brown Auditorium, 318-seat Bingham Theatre and 159-seat Victor Jory Theatre. The 2015 Humana Festival schedule also features two special Industry Weekends—which include networking opportunities, discussions, and parties— and a weekend of enrichment events for college students, making Louisville the place to be in American theatre this spring. Weekend packages and single tickets for the 2015 Humana Festival of New American Plays are on sale to the public on Wednesday, November 12. Actors Theatre’s Season Ticket Holders can purchase tickets single tickets during a special pre-sale on Tuesday, November 11. For more information, please visit HumanaFestival.org or call 502.584.1205. For Festival Package reservations, please call 502.561.3344. Actors Theatre celebrates the 39th Humana Festival with underwriter the Humana Foundation, the philanthropic arm of Humana, Inc. Additional support is provided by the National Endowment for the Arts and The Harold and Mimi Steinberg Charitable Trust. 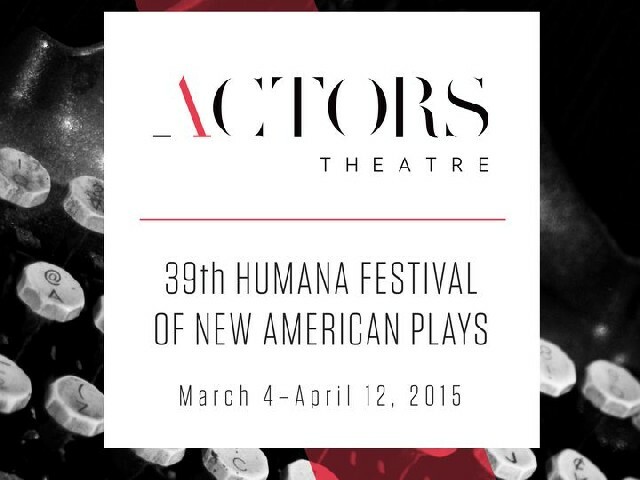 Editor: The involvement of the Humana Foundation in the Humana Festival of New American Plays is very important to us. We would greatly appreciate inclusion of its participation in your coverage. The Humana Festival represents the largest and longest-running active partnership between a corporation and a theatre in the United States. Recently divorced and living in an old house in Iowa, Sharon finds a sensible roommate like herself—a woman in her fifties—to make ends meet. But she quickly learns that Robyn, a vegan from the Bronx, couldn’t be further from the ladies in her book club. Hell-bent on getting to know Robyn despite their differences, Sharon deploys her friendly Midwestern charm at full force. Their sensibilities are humorously mismatched, but turning over a new leaf can have unintended consequences. Jen Silverman’s work includes The Dangerous House Of Pretty Mbane at InterAct Theatre Company; Crane Story, produced Off-Broadway by The Playwrights Realm; Phoebe in Winter, produced Off-Off Broadway by Clubbed Thumb; and That Poor Girl and How He Killed Her, commissioned and produced by Playwrights Horizons Theatre School. Silverman is an affiliated artist with New Georges, Ars Nova, and the Lark Play Development Center, and has developed work with Playwrights Horizons, Bay Area Playwrights Festival, Williamstown Theatre Festival, PlayPenn, The Eugene O'Neill Theater Center, Seven Devils Playwrights Conference, New York Theatre Workshop, and The New Harmony Project. The Hunters was selected for the Cherry Lane Mentor Project (mentor: Lynn Nottage), and Still won the Yale Drama Series Award and was published by Yale University Press. Silverman holds a B.A. from Brown University, an M.F.A. from the Iowa Playwrights Workshop, and attends The Juilliard School. For more information, visit www.jensilverman.com. The Roommate was developed in part with assistance from SPACE on Ryder Farm (www.spaceonryderfarm.com). In the Shealy family home just a few days before Christmas, Dotty and her three middle-aged children gather with so much more than the holidays on their minds. Their anxieties go far beyond finding a suitable blue spruce for the living room: this wild and moving dark comedy, served with a large helping of the crackling humor that only families can incite, grapples with aging parents, midlife crises, and the heart of an inner city neighborhood. Colman Domingo is the author of Wild with Happy, which has garnered productions at The Public Theater, Center Stage and TheatreWorks, and A Boy and His Soul, which played at The Tricycle Theatre (London), Brisbane Powerhouse (Australia), Vineyard Theatre (New York), and Thick Description (San Francisco), among others. Domingo has been honored with Olivier, Tony, Drama Desk and Drama League nominations. His work has won him Obie, Lucille Lortel, GLAAD, Connecticut Critics Circle, Bay Area Theater Critics Circle and Internet Theater Bloggers Awards. Domingo has received fellowships and/or residencies from The Sundance Institute Theatre Lab, People’s Light and Theatre Company, and the Banff Playwrights Colony. His play The Brother(s) will premiere at American Conservatory Theater. Dot received support from the New York Theatre Workshop Annual Usual Suspects Summer Residency at Dartmouth College. Seventeen-year-old Penelope goes to live with her Aunt Josephine in a small town in California’s Sierra Nevada Mountains after her mom dies. Everyone in this small town—built right next door to a ghost town—is haunted by something or someone, and no one knows how to behave. Filled with apparitions, earthquakes, and strange attempts to mourn, this play explores the beauty and awkwardness of living with the knowledge that everything ends. Erin Courtney’s A Map of Virtue was produced by 13P in New York City in 2012. Directed by Ken Rus Schmoll, the play won an Obie Award. She has co-written two musicals with Elizabeth Swados, Kaspar Hauser and The Nomad, both commissioned and produced by The Flea Theater. Ms. Courtney's other plays include Honey Drop, Black Cat Lost, Alice the Magnet, Quiver and Twitch, and Demon Baby. Her work has been produced and developed by Clubbed Thumb, New York Stage and Film, Playwrights Horizons, Soho Rep., The Vineyard, and The Flea. She was awarded a Guggenheim Fellowship. Courtney is a member of New Dramatists and is an affiliated artist with Clubbed Thumb. She teaches playwriting at Brooklyn College. I Will Be Gone was workshopped as part of the Creativity Fund, a program of New Dramatists, and was developed with Clubbed Thumb through the Clubbed Thumb Writers' Group. A series of toasts to Thomas Merton on the occasion of his 100th birthday erupts into a raucous party. Inspired by myriad points of view on the Kentucky-based Trappist monk, writer and social activist—or pacifist, Buddhist, Catholic, Communist, and more, depending on who you ask—Mee’s exuberant play considers how we can live fully in all our contradictions, and leap into the unknown. A wildly theatrical meditation on happiness, love, the values of solitude and of engagement with the world, and seeking heaven on earth. Festival: Big Love, Limonade Tous les Jours, bobrauschenbergamerica, Hotel Cassiopeia, Under Construction, and The Glory of the World. Mee’s plays have been performed at the Signature Theatre, Brooklyn Academy of Music, New York Theatre Workshop, The Public Theater, Lincoln Center for the Performing Arts, Steppenwolf Theatre Company, American Repertory Theater, and other theatres around the country as well as in Berlin, Paris, Amsterdam, Brussels, Vienna, Istanbul and elsewhere. All his plays are available on the Internet at www.charlesmee.org. Among other awards, Mee is the recipient of an Obie and the Lifetime Achievement Award in drama from the American Academy of Arts and Letters. Commission supported by the 50th Anniversary NCTF/Ford Foundation Fund for New Work. The Glory of the World was developed at the 2014 Perry-Mansfield New Works Festival in Steamboat Springs, Colorado. Pig Iron Theatre Company has been creating original performance works in Philadelphia since 1995, making plays about live music, dead people, neuroscience and thwarted love affairs. A unique method of performance research and collaborative creation, plus a signature physical approach to character, has led to 29 plays, cabaret-ballets, hoaxes and installations over two decades. Past collaborations include work with the legendary director Joseph Chaikin, playwright Toshiki Okada, choreographer David Brick, and composer Cynthia Hopkins. Pig Iron's work has been presented by FringeArts in Philadelphia, and by theatres and festivals around the world. The company has won two Obie Awards, a Total Theatre Award, and eight Barrymore Awards. For more information, visit www.pigiron.org. Gregory S Moss is a playwright from Newburyport, Massachusetts. His work has been seen at South Coast Repertory, the Guthrie Theater, Ensemble Studio Theatre/Los Angeles, Soho Rep. and Steppenwolf Theatre Company. Moss is a 2012 MacDowell Fellow, a Core Writer with The Playwrights’ Center, a 2010-2011 Jerome Fellow and a 2011-2012 McKnight Fellow. His work is published by Play: A Journal of Plays, n+1, Playscripts, and Overlook Press. He’s currently working on a new musical based on the life and work of Hunter S. Thompson for La Jolla Playhouse. He is the Head of the M.F.A. Dramatic Writing program at the University of New Mexico in Albuquerque. Recent productions: Reunion at South Coast Repertory (winner, “Best New Play,” OC Weekly), punkplay at Capital T Theatre (Austin, Texas), and La Brea with Clubbed Thumb (New York City). More information can be found at www.gregorysmoss.com. Major support for I Promised Myself to Live Faster has been provided by The Pew Center for Arts & Heritage. Bluegrass has a long and winding history, from Scottish ballads to African-American work songs, from Bill Monroe and the Blue Grass Boys to the O Brother, Where Art Thou? soundtrack. In a lively theatrical album of scenes created for the Acting Apprentice Company, four writers respond with playfulness and poignancy to the signature sounds, inherited stories, and cultural impact of this very American—and very Kentucky—music tradition. Jeff Augustin’s play Cry Old Kingdom premiered at the 2013 Humana Festival. His play Little Children Dream of God will have its world premiere at the Roundabout Theatre Company, where he’s a Playwright-in-Residence. His work has been produced or developed at the Eugene O'Neill National Playwrights Conference (Little Children Dream of God), The Ground Floor at Berkeley Repertory Theatre (The Last Tiger in Haiti), American Conservatory Theater (in the crowding darkness), and Western Washington University (Corktown). Augustin is a New York Theatre Workshop 2050 Fellow, a recipient of the Barrie and Bernice Stavis Playwriting Award, and a two-time recipient of the Lorraine Hansberry Award. He is under commission from Manhattan Theatre Club and Roundabout. Augustin holds a B.A. from Boston College and an M.F.A. from the University of California, San Diego. Diana Grisanti’s short play Post Wave Spectacular was produced in the 2010 Humana Festival. Her play River City is midway through a National New Play Network Rolling World Premiere at Actor’s Theatre of Charlotte, the Phoenix Theatre (Indianapolis), and Borderlands (Tucson). Her play The Guilt and Anxiety Workshop (formerly INC.) was workshopped during Playwrights’ Week at The Lark and the nuVoices Festival at Actor’s Theatre of Charlotte. She was a Core Apprentice at The Playwrights’ Center, the inaugural recipient of the Marsha Norman Spirit of Achievement Lilly Award, and a runner-up for the Leah Ryan Prize. Her serialized play The Stranger and Ludlow Quinn (co-written with Steve Moulds) was commissioned and produced—in 15-minute installments—by Theatre  in Louisville, where she is a Playwright in Residence. Grisanti is an Al Smith Fellow through the Kentucky Arts Council, and a graduate of the Michener Center for Writers at The University of Texas at Austin. Cory Hinkle co-wrote Fissures (lost and found), which premiered in the 2010 Humana Festival at Actors Theatre of Louisville. His play Little Eyes was produced at the Guthrie Theater in a Workhaus Collective production. His other plays have been produced or developed at the American Repertory Theater, Williamstown Theatre Festival, Summer Play Festival, New York Theatre Workshop, Ars Nova, Rattlestick Playwrights Theater, and The Southern Theater in Minneapolis, among others. Hinkle is the recipient of a McKnight Advancement Grant, two Jerome Fellowships, and a Jerome Travel and Study Grant, and he is a former MacDowell Colony Fellow. He is an affiliated writer at The Playwrights' Center and a member of the Playwrights Union, and he earned his M.F.A. in Playwriting from Brown University. Cabaret). Smith is currently working on commissions from Trinity Repertory Company and Soho Rep. Acting credits include Antony and Cleopatra (Royal Shakespeare Company/Gablestage/The Public Theater), Tartuffe (Westport Country Playhouse), An Enemy of the People (Baltimore Center Stage), The Good Wife, and Unforgettable (CBS). Smith is an alumna of Ars Nova’s Play Group and a 2012-1013 Van Lier Fellow at New Dramatists. She holds an M.F.A. from the Yale School of Drama and a B.A. from Brown University. About Actors Theatre’s Apprentice/Intern Company Now in its 43rd year, the Apprentice/Intern Company is one of the nation’s oldest continuing pre-professional resident training companies. The A/I Company is comprised of two distinct parts whose members work together on productions and projects throughout the season. Each year, over 2,000 young artists audition for only 20 spots in the Acting Apprentice Company. This one-of-a-kind bridge program is designed to transition recent college graduates into professional careers by teaching the practical skills necessary to be competitive in major markets, as well as methods for creating their own work. Apart from Actors Theatre’s mainstage season, the Acting Apprentice Company performs its own five-show season, which culminates in a specially commissioned work in the Humana Festival of New American Plays. Members of the Intern Company work directly with department managers and staff, receiving hands-on training in administrative, technical, and/or artistic leadership. Internships are vital positions, as they take leadership roles in the development and production of A/I Company projects throughout the season and are directly involved in mainstage season productions.